Time for Premier Jay Weatherill to Dump the Dump - Helen Caldicott, M.D. 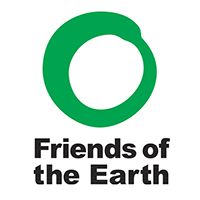 Regarding plans to import nuclear waste to South Australia, Friends of the Earth Australia notes that the Community Views Report released today is overwhelmingly negative and calls on SA Premier Jay Weatherill to abandon the proposal. Key findings of the Community Views Report are noted below. Two-thirds of the members of the Citizens’ Jury concluded that the proposal should not be pursued “under any circumstances”. SA Liberal Leader Steven Marshall has clearly stated his opposition to the proposal and said it will be the “defining issue for the 2018 state election” if the Premier refuses to dump the dump. Business SA chief Nigel McBride acknowledges that the proposal is “dead”. Aboriginal communities across the state have repeatedly voiced their strong opposition to the proposed nuclear dump and their views are clearly reflected both in the Citizens’ Jury report and in the Community Views Report released today. “The people of South Australia have spoken. Aboriginal Traditional Owners ‒ who have always borne the brunt of the nuclear industry ‒ have spoken. Opposition Leader Steven Marshall has spoken. The Citizens’ Jury has spoken. Jay Weatherill must listen. It is time to dump the dump,” Dr Green concluded. Key Findings of the ‘Community Views Report’. Page 30: On the question of confidence that a nuclear waste disposal facility would bring significant economic benefits to SA, 66% of the people who submitted online surveys, feedback forms and conversation kits (self-selected feedback) were not confident. Just a quick update on the “work” of the Nuclear Fuel Cycle Royal Commission, headed by (biased or bought) pro-nuclear retired Royal Australian Navy Rear-Admiral Kevin Scarce, who treated Dr Caldicott with utter disdain and total lack of respect during her courageous testimony to the Commission. 1. The Nuclear Fuel Cycle Royal Commission cost South Australian taxpayers at least Au$ 7.2 million – enough money to build a hospital. 2. Basically, the final report from the Commission recommends that further uranium mining activities be developed in SA, and that a high level nuclear waste dump be constructed, at the astronomical cost (born by SA taxpayers) of Au$ 145 billion. Surely enough this last part must have gotten some contractors salivating. The Commission also recommended less regulation for nuclear industry activities in South Australia – unsurprisingly. Note that just the planning stage of the high level nuclear waste dump would cost South Australian taxpayers Au$ 600 million – even if the project never generates a single dollar in revenue. As for the uranium mining part, this is more driven by economics than by political wishful thinking or industry lobbying – and the price of uranium yellow cake has been below its mining and production costs for the last 3 years, during which Australian uranium mining companies lost Au$ billions (but they apparently haven’t learned the lesson yet as uranium mining continues unabated). However, it’s more the international context for the entire nuclear industry that is changing and will make Rear-Admiral Kevin Scarce’s dreams of a nuclear-friendly South Australia impossible. Westinghouse and Areva, respectively the largest and second largest Western nuclear reactor companies, are both bankrupt. South Korea is abandoning further internal development of its nuclear industry. France will be shutting down 1/3 of its nuclear reactor fleet in the coming 10 years. Japan is not likely to ever restart at least half of its fleet of nuclear reactors. Etc. In summary, Au$ millions of South Australian taxpayer’s money have been wasted by politicians paid by the nuclear lobby – for nothing. The question remains whether they’ll keep trying and waste more taxpayer’s money, or just give up and be gone.